Rugged DOOGEE smartphones are deeply loved by millions of users who spend most of their time outdoors. What’s the secret behind so much success? An interview with the top DOOGEE executive showed that the main concern of their resistant devices is quality and reliability “. In addition to the rigorous choice of material suppliers, each product undergoes numerous tests before being put on sale. Doogee has managed to establish itself in the rugged sector. The Chinese company has focused everything on the quality of its products: in addition to a careful choice of materials, each device of the brand is subjected to numerous tests before being marketed. And this is especially true for “armored” smartphones that have to withstand the toughest “survival” tests. 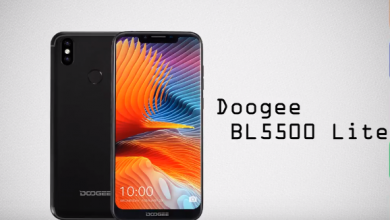 Doogee is also interested in the gaming industry and has just launched an Indiegogo campaign for its brand new hardened phone, the famous Doogee S70. it arrived home last week. So we attack with a grip. This may not have escaped you, but there are quite a few gaming-oriented phones on the market. Between the Razer Phone, the Black Shark or even the Honor Play, we have something to do. Doogee, for its part, has decided to take the trend against the trend by developing a hardened gaming phone that can withstand water, dust, shock or even falls. And if it is not the most powerful of his class, he will have the merit of resisting your ragequit. Thanks to the Geekbuying They Providing us a Review Unit of Doogee S70 For telling to other peoples how much this device is better for travelers. if you want to purchase Doogee S70 You can grab it on Geekbuying For just $269.99 Using a Coupon Code: EPNKOTYH, after using the Coupon get 70$ OFF. The Doogee S70 is sold in a cardboard box both sober and elegant. It does not contain any visuals of the product and it merely quotes its name, accompanied by a slogan. Doogee also does not mention the features of the device and it merely refers to its color on the back label. Opening the box, you fall directly on the device, covered with a protective film. Here, we find some indications relating to its technical sheet. We learn that the device is equipped with a 5.99-inch FHD + display, 6 GB of RAM, 64 GB of storage, a double photo module and a big battery of 5500 mAh. There is also mention of its IP68 certification and the presence of a wireless charging system. The documentation is in the box underneath and the box also contains a plastic protective film for the screen. No tempered glass in the program, unfortunately. The accessories are in compartments underneath. In addition to the charger unit, we will find the instrument for accessing the hatch, a USB Type-C / USB adapter, a USB Type-C / jack adapter, and a charging cable. The hands-free kit goes on the other hand to the hatch. It should be noted, however, that this model is directly imported from China. Normally, Chinese manufacturers slip silicone covers into the box of their devices, but this is not the case here. It is obviously difficult to be surprised since the terminal is covered with hard plastic and it will have no trouble without a protective cover. The Doogee GamePad comes in a black box a little more classic. It has a visual and it evokes for its part the main features of the product. The Doogee S70 is clearly the antithesis of all the devices of the moment. Here, no finely crafted glass shell and no screen with contained edges. The device is heavy, imposing and built to last. If the frame is metal, it is also covered with several plastic reinforcements. There is a thin plastic plate on the back with a texture vaguely imitating the leather and hardened plastic reinforcements at the upper and lower edges. The photo module is integrated with a glass plate itself placed in a plastic part in which also appears the fingerprint reader. As mentioned earlier, the photo module consists of two optics and two sensors placed next to each other. The manufacturer’s logo has been directly engraved on the back plate, as well as the mention of its certification. Ergonomics is rather classic. The map hatch is on the right edge and protected by a plastic tab. It is also accompanied by a customizable shortcut button. Both volume controls are located on the right edge, as is the power button. The USB Type-C connector is on the lower edge, also protected by a plastic tab. The device has no headphone jack. The screen is quite impressive, but it is also framed by thick borders. The slab appears to be of good quality and Doogee has also placed a protective film over the screen. If the S70 is not necessarily a beauty canon, it has at least the merit of collecting certifications. Apart from the IP68, it offers IP69K and MIL-STD 810G. It will be able to withstand extreme temperatures, dust, water, sand, shocks, and falls. We will try to push him a little in his last entrenchments during the test. The controller is rather classic. To put it in place, simply stretch it and put the phone in it. Doogee has been generous at the controls, so there are four triggers, a stick, a directional pad, a power button, and a notification LED. Once the phone is in place, it seems well maintained. Big flat on the other hand, to power the accessory, it will rely on a micro USB cable. I would have preferred that Doogee goes on USB Type-C as the S70. In all other respects, the metal and rubber casing gives the S70 six-sided protection against falls, which is important in a heavy machine, where even a shortfall has a significant impact. You are more likely to damage everything that you drop on than the phone itself. The screen size is 5.99 inches (but we now call it 6 inches) so by the time you add a large battery and a robust case, the S70 weighs 275 grams and is quite full. 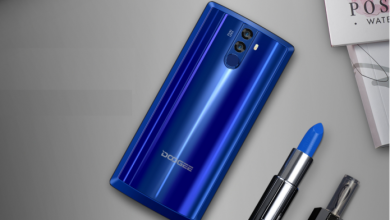 The display of the Doogee S70 comes – contrary to the current trend – without a notch. But it has a 18:9 aspect ratio and a resolution of 2160 × 1080 pixels, which is referred to as “Full HD +”. At 5.99 inch diagonal, we come to a pixel density of 403 pixels per inch. The IPS display is, of course, multi-touch capable. S70 is promoted as a game rugged phone. Compared to the former DOOGEE rugged phones, the most different innovation of S70 should be the gamepad design. It is designed in the form of a module, and the user can connect it to the top of the phone then S70 will turn a game console in a second. Referring to the gamepad, it is compact and easy to operate for gathering the moving, aiming and firing simultaneously. It can be imaged how exciting it is when the adventurers get together to play games in a group on the journey. This creation is a big step forward on the rugged phone road, DOOGEE makes the IP68 chunk more interesting and recreational. An interesting fact is also available as an additional gamepad accessory that will connect to the smartphone via Bluetooth. In a special “gaming mode”, which can be started using a dedicated button, all applications running in the background are turned off. Activating this function also blocks all incoming notifications and connections. The Doogee S70 positions itself as a gaming phone, To ensure smooth gaming, the Doogee S70 also needs good hardware. The built-in Mediatek Helio P23 is not necessarily one of the fastest chips on the market, for normal applications, simple games and 3D games on medium settings, however, he is sufficient. In the Doogee S70, the eight-core processor, each with up to 2.5 GHz clock frequency, it has 6 gigabytes of RAM at its disposal, which should ensure fluid multitasking. The graphics unit is a Mali G71 MP2 with 770MHz power. The main memory is generously sized with 64 gigabytes, in addition, it can be expanded by up to 128 gigabytes via Micro SD card. Fingerprint and face recognition both worked reasonably well and the start-up time is fast. All apps we tried worked smoothly, even when multiple jobs were running simultaneously. The Helio P23 processor seems to fulfill the task, as shown by the various benchmark tests. The Doogee S70 also makes sharp photos and videos, thanks to the relatively large sensors of its two cameras. Audio playback is also impressive with more space than your average smartphone for the stereo speakers. So far, these data are still many middle-class devices from China – but what makes the S70 to a gaming smartphone? A gaming mode that kills all apps in the background and provides all system performance for the game. A picture was taken specifically for the Doogee S70 gamepad that is connected via Bluetooth with the mobile phone. Moving on to the cameras, there’s little bit get excited about here. Image quality gets even worse for video. Not only are there no options at all for 4k (and here’s why you should shoot 4k video if you’re unsure) or slow motion, but the footage is recorded into the horrible and very dated. Videos are even less sharp than the photos, and suffer many of the problems impacting photos, only much worse. The dual lenses enable you to achieve a variety of portrait modes, but there’s nothing special here considering you can enable portrait mode on any Android phone. The Doogee S70 also comes with a 5500mAh battery that can be charged using wireless charging as well as MediaTek’s Pump Express 3.0 fast charging solution. As compared to phones like the Asus ROG Phone, Xiaomi Black Shark and Razer Phone, this smartphone’s battery has 1500mAh more capacity. It sports a physical button that turns on Game Mode which boosts the gaming performance of the smartphone. The gamepad attachment itself comes with a battery of its own so you don’t have to sacrifice battery juice to power the gamepad. As per the company, the gamepad can give you a battery backup of 30 hours with a single charge but that may vary as per the usage of the customer. And yes, you will be able to charge it in 12V / 2A fast charging mode. In addition, the smartphone is equipped with a wireless charging function. The battery is supposed to allow more than 15 hours of playing such titles as Candy Crush, Minecraft, over 11 hours in PUBG network shooters and 9 hours in PokemonGO. For more traditional ways of using the phone, the battery provides approximately 80 hours of talk time and more than 12 days of standby operation. The large 6-inch screen ensures that Android Oreo looks great and has memory and processing power to control the most graphics heavy games. There are also some useful features on board, such as the fingerprint reader, a large battery and the possibility to use the touch screen interface with gloves. If you do not mind dragging a block of angled metal and rubber along, the Doogee S70 can be a handy tool to use in situations where you would not risk your iPhone. If you’re looking for a robust Android phone and you’re not so busy with the brand or looks, there’s a surprising number to choose from. The Doogee S70 is a good example because it offers a higher specification than most, while it remains relatively affordable.